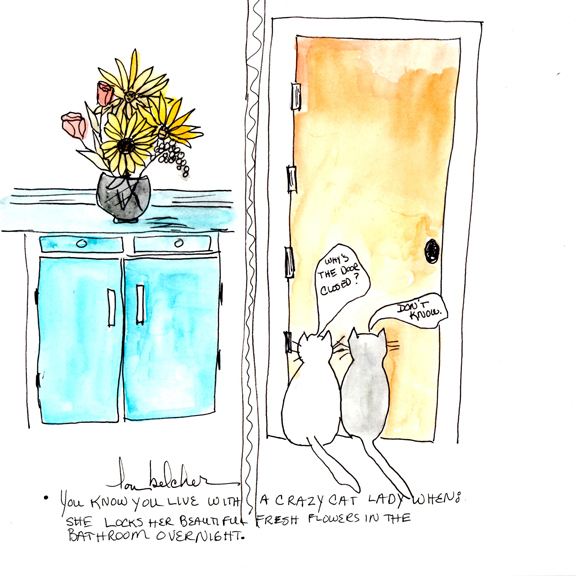 Crazy Cat Lady Cartoon Results…. You know you live with a Crazy Cat Lady when ___________. and send it to me at Lou AT LouBelcher DOT com. Please use Crazy Cat Lady for the subject of the email. 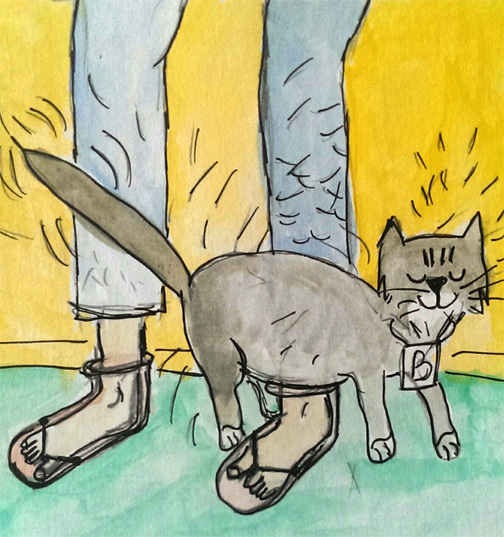 The first submission in the Crazy Cat Lady Cartoon Event is from Helen Wheatley. She’s a fellow artist and you can see her work on her website… HERE… Thanks Helen for your response. I’ll email you the jpg of the cartoon today. You know you live with a crazy cat lady when… she locks her beautiful fresh flower arrangement in the bathroom overnight. 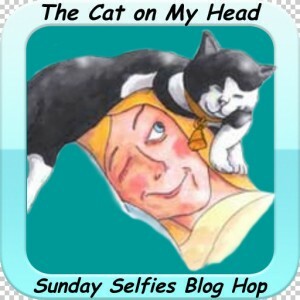 We’re participating in the Sunday Selfie Blog Hop, hosted by The Cat on My Head blog. Please feel free to join in. Using my own selfie with a little photo bomb from Bugsy today…. This entry was posted in The Boys, Uncategorized and tagged art, bugsy, cat, cat art, cats, Double Trouble, feline art, humor, Knuckles, Lou Belcher, Sunday Funnies. Bookmark the permalink. We agree, PURRfect sense. Except – uhh – we’d like to get at the flowers, pleez…. Mum was laughing at that she always has to brush herself down when Hannah has rubbed her long fur tail on her legs! Very cute 🙂 I keep my plants/flowers in the diningroom ( the only cat free zone). Happy Sunday, Lou (and Bugsy and Knuckles, too)! We can’t have fresh flowers here at all because some cat (Wally!) likes to eat them or knock the vase over. MOL MOL MOL mom puts her in the pantry. Too funny we love HH’s drawings.